About: Cat flu is an upper respiratory infection, similar to the flu in humans. It is caused by a number of viruses and bacteria, feline herpesvirus and calicivirus account for 80% of cases. Other causes include bordetella, chlamydophilia, and mycoplasma. Symptoms: Symptoms are similar to that of a human cold or flu and may include eye and nasal discharge, sneezing, fever, loss of appetite, dehydration, eye and mouth ulcers and lethargy. Transmission: Direct contact with nasal, eye and mouth secretions, indirect contact such as bowls, bedding and toys (fomites) and chronic shedders. Diagnosis: A tentative diagnosis can be made by symptoms alone. Your veterinarian may take samples of discharges to determine the exact pathogen responsible. Treatment: Supportive care such as fluids, nutritional support, antiviral medications and antibiotics to treat secondary infection. Cat flu is a general term used to describe a common set of symptoms of the upper respiratory tract and is similar to the colds and flu that affects people. It is seen mostly in young kittens, senior cats, crowded environments such as cat shelters where close proximity to other cats as well as increased levels of stress increases the rate of transmission. Cats with weakened immune systems are also at greater risk. If healthy adults do contract cat flu, they usually recover quickly, however, kittens, senior cats and those with weakened immune systems can become quite sick. Bordetella bronchiseptica this is the same bacteria responsible for kennel cough in dogs. Feline herpesvirus and feline calicivirus are by far the most common cause of cat flu, being responsible for 80% of cases. Feline herpesvirus typically is the most severe of the two. Co-infections and secondary bacterial infections are also common. Direct contact: Infection is passed from a sick or carrier cat via eye, nasal, and mouth discharges. It is possible for infected dogs to pass bordetella on to cats and vice versa. Indirect contact (fomites): Contaminated food bowls, bedding etc. Calicivirus is resistant to many disinfectants and can live in the environment for long periods of time. Chronic carriers/shedders: Cats who have been exposed to feline herpesvirus or calicivirus can shed the virus even after they have recovered. There is more information on carriers/shedders later in the article. Many of the causes of cat flu have overlapping symptoms. However, some causes have individual symptoms. For example, mouth ulcers are often seen in a cat with feline calicivirus, whereas eye ulcers are seen with feline herpesvirus. Cats with FCV may also develop a limp. Cat flu symptoms are similar to those seen in humans and may be acute (lasting 10 days or less) or chronic (longer than 10 days). Nasal discharge: May be thin and clear or thick and purulent if a bacterial infection is present. Sneezing: Accompanying nasal discharge is sneezing. Fever: When an infection takes hold, the body responds by increasing its temperature. This can make your cat feel generally unwell. 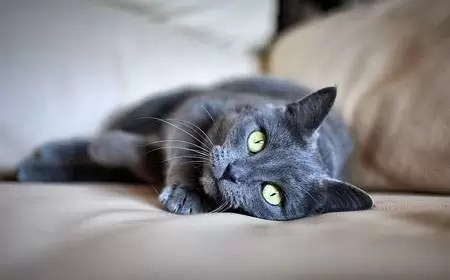 Anorexia (loss of appetite): A cat with the flu will often lose his appetite which can be exacerbated by nasal discharge affecting the sense of smell. Dehydration: Sick cats can quickly become dehydrated as they don’t tend to drink as much when they are feeling unwell. If you lift the skin directly above the shoulders and release, it should spring back quickly. In dehydrated cats, the skin is slower to move back into place. Lethargy and depression. Lack of interest in surroundings, not as active, playful or attentive as he may normally be. Calicivirus can cause transient arthritis in cats which can result in limp, which is known as limping syndrome. Calicivirus may also result in ulceration of the paws. Ulcerations of the mouth and tongue may develop, making eating painful. Gums may become inflamed (gingivitis) and red and your cat may salivate (drool) excessively due to ulcers. Calicivirus is usually responsible for mouth ulcers. A thick, sticky eye discharge also occurs with cat flu. Eyes become red and inflamed (conjunctivitis). Pain, squinting, sensitivity to light can develop if your cat has developed corneal ulcers due to herpesvirus infection. Sneezing and nasal discharge are common symptoms of cat flu. The virus causes inflammation of the mucous membranes (rhinitis), accompanied by nasal discharge, which may be clear, thick and mucopurulent (containing pus and mucus). This can make breathing difficult. Lung inflammation can lead to secondary bacteria taking hold and pneumonia developing. Your veterinarian will perform a physical examination of your cat and may make a diagnosis based on present symptoms. To determine the exact pathogen, he/she may take a throat or eye swab to send off to a laboratory for testing. Fluorescein is an orange dye which your veterinarian may put in your cat’s eyes to look for corneal ulcers. X-rays to evaluate the lungs for pneumonia. Cats with chronic upper respiratory tract infection will require a more thorough workup to look for other causes such as a foreign object, fungal infection, cancer or parasites. Bacterial culture and sensitivity to determine the bacteria present and the most appropriate antibiotic. Rhinoscopy is an examination of the inside of the cat’s nose. Xrays of the nasal cavity. Treatment depends on the cause of the cat flu. There are no drugs to treat viral infections, and supportive care is necessary to alleviate symptoms while your cat fights the infection. This includes keeping the nose clear of discharge. A stuffed up cat will often lose his appetite, therefore, it is important that you do everything you can to encourage your cat to eat and drink. If your cat refuses to eat or drink, then seek veterinary advice immediately. Even if the cause is viral, antibiotics may be prescribed if symptoms are present after 10 days, if fever, loss of appetite and lethargy develop. Antibiotics to treat pneumonia along with supportive care. If your cat has developed corneal ulcers, he may be given medication to dilate the pupils which will relieve discomfort and possibly antibiotic eye drops to treat or prevent bacterial infection. Encourage food and water intake. If the cat is not showing an interest in his regular food, try offering him the small gourmet canned food. Warming it up a little can help make it more appealing. There are also high-calorie products available from your veterinarian to use with sick and recuperating cats. These are usually in paste form. Cats with mouth ulcers would benefit from soft food. Nasal decongestants and vaporisers to clear discharge and ease breathing. If you don’t have a vaporiser, run a hot shower for 10 minutes so the room gets steamy and leave your cat in the bathroom for 10-15 minutes can help loosen up congestion. Extremely sick cats will be hospitalised and administered fluids to treat dehydration and correct electrolyte/acid balance as well as providing nutritional support. This may be by encouraging him to eat with highly palatable foods (such as shredded chicken or tuna), appetite stimulants or if necessary a feeding tube, if your cat is having difficulty breathing he may require oxygen therapy. Antibiotic eye ointment (usually tetracycline). Antiviral drugs such as acyclovir (Zovirax). L-lysine is an over the counter amino acid has been shown to suppress viral replication and inhibit cytopathogenicity. Removal of discharge from the nose and eyes with a warm, damp compress will make your cat more comfortable. If the cat has become anorexic, force-feeding may be necessary. Removal of discharge from the nose and eyes will make your cat more comfortable. Antibiotics to treat secondary bacterial infections. Corticosteroids and/or anti-inflammatories to treat transient arthritis. This depends on the severity and the overall health status and age of your cat. But typically you can expect the cat to recover within 7-10 days. 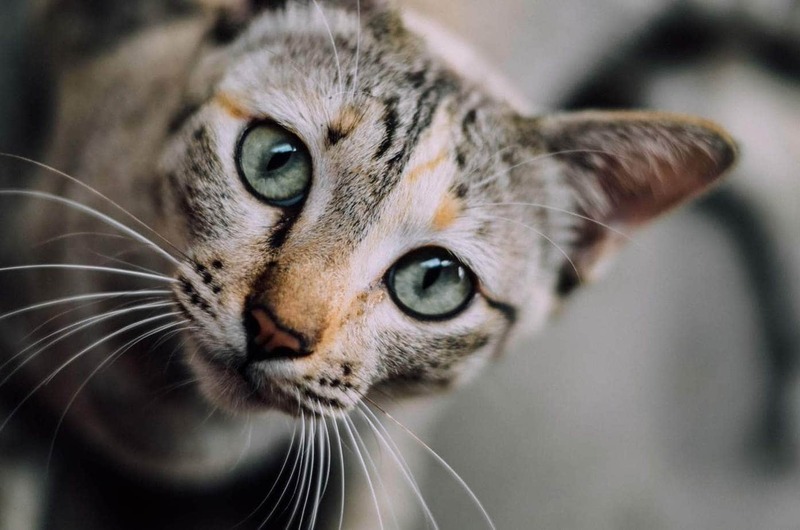 Some cats may go on to become chronic shedders and during these periods may develop signs of disease again, although typically milder, or in some cases, no symptoms at all but they can pass on cat flu to other cats during the period of shedding. Test cats for FIV and FeLV who fail to respond to treatment. Generally, the prognosis is very good with prompt treatment. Young kittens are at the greatest risk but health adult cats usually have an uneventful recovery after a week or so. Some cats infected with feline herpesvirus will develop chronic rhinosinusitis as a result of damage to the nasal mucosa. Symptoms include chronic nasal discharge and sneezing. Antivirals and antibiotics can manage symptoms. What is a carrier/shedder cat? Once a cat has contracted feline herpesvirus, he has it for life. Once he recovers from the initial infection, small numbers of the virus lie dormant in the nerves. Cats who have previously been exposed to feline herpesvirus can occasionally shed the virus when it re-activates at some time in the future. This is usually during periods of stress such as stress (caused by pregnancy, lactation, overcrowding, poor nutrition, new family member etc.) or another sickness. They may or may not show symptoms while they are shedding depending on their overall health. Calicivirus can be shed for up to 3-18 months after infection but most cats have completely eliminated the virus by 18 months. It is possible for other cats to catch feline herpesvirus or calicivirus if he comes into contact with a cat who is shedding the virus. Take care to avoid stress in carrier cats. Vaccinating your cat will protect it against FHV and FCV which the F3 vaccination covers. There is a vaccination available for Chlamydophila felis. Side effects can occur in a small percentage of cats, which include lethargy, lameness, depression, anorexia, and fever. Therefore, it is only recommended for high-risk situations. The American Association of Feline Practitioners does not recommend routine use of this vaccination. Speak to your own veterinarian about this vaccination. Wash hands and change clothing after handling sick cats. Also, as a courtesy, if you are visiting multiple breeders or shelters in one day, advise them beforehand. Some breeders will ask you not to visit them if you have been to another cattery, to reduce the chances of transmitting diseases. Quarantine new cats for two weeks before introducing them to resident cats. Can I catch colds and flu from my cat? No, it is not possible to catch a cold or flu from your cat, nor can your cat catch a cold or flu from you. Update December 2016: An American veterinarian has caught a rare strain of bird flu from a Manhattan shelter where infected cats were housed. This is the first time that the strain H7N2 has infected cats and then infected a human. The good news is that the veterinarian and all but one of the cats had mild symptoms and recovered quickly. Please remember, this is a strain of bird flu, and not the usual pathogens such as feline herpesvirus, calicivirus etc., typically associated with flu in cats. Administer all medications as prescribed. If you have other cats in your household, isolate the sick cat to avoid spreading the disease. Wash your hands thoroughly before and after handling cats with cat flu. Never give cold medications for humans to a sick cat. Keep a close eye on your cat’s food and water intake. It is essential he eats if you can’t encourage him to do so, speak to your veterinarian. Keep the eyes and nose clear of discharge by wiping with cotton or gauze soaked in saline solution. Confine indoors and allow to rest. Help to loosen up mucus by putting your cat in a steamy bathroom for 15 minutes.